I posted some images of this scene a few weeks ago taken at a different angle and cropped in a 1X1 format. I had so many images from that outing I thought I’d try a composition that showed more of that day’s “big” sky. 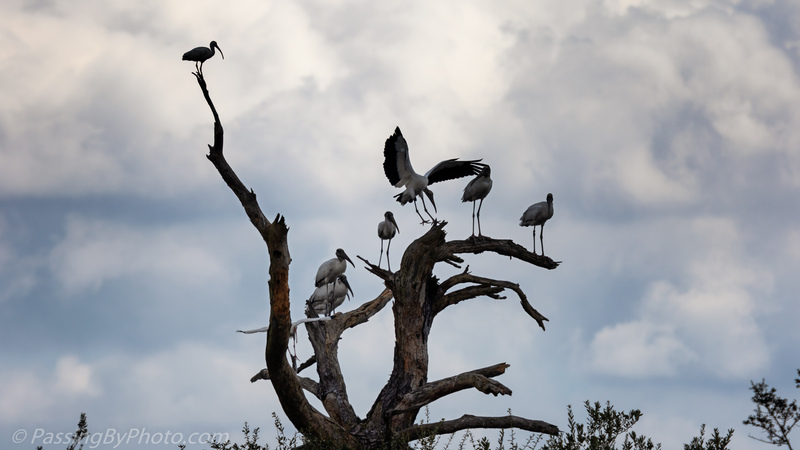 Bear Island WMA is closed to the general public now until February 9, 2019 so we won’t be back to see if these Wood Storks are still hanging around.